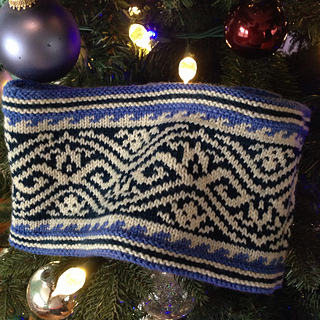 Nicely fitting unisex, stranded cowl reverses to a solid lining. 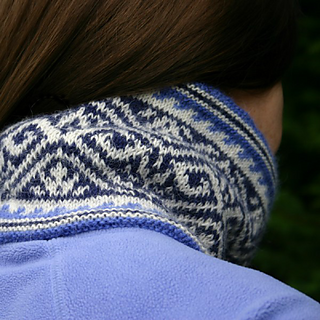 The Dale Alpakka yarn originally used for this design is no longer available in North America. You can use any similar, soft, sport weight yarn you like, as long as it can compress down a bit to the given gauge. (Alpaca yarns compress especially well.) While the gauge you’re shooting for is 28 sts/inch, choose a soft yarn with a ball band gauge that’s slightly heavier, so that it can be knit slightly tighter than usual, to give you an extra-warm, windproof cowl. 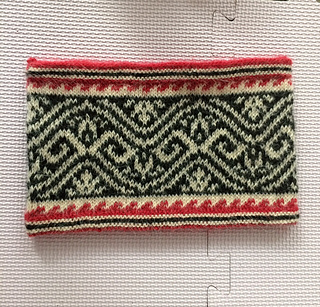 For instance, although the sample was knit at 28 sts/inch, the ball band gauge on the sample’s Alpakka was 25 sts/inch. 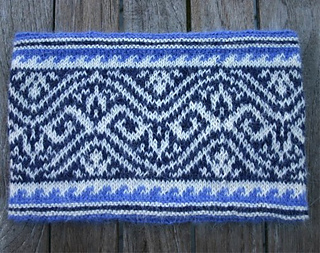 See designer’s blog post for more colorway ideas!